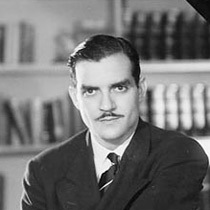 Jorge Bolet (pronounced bo-LET) was a world-famous American pianist, born in Cuba. One of my favorite virtuosos, his playing was thoughtful, weighty, and perfectly-controlled. Bolet was born in Havana, Cuba, in 1914. He claimed that he was inspired to become a pianist after visiting a recital of his older sister's. He was amazed at how everyone in the audience was looking at her perform, and he decided then that he wanted to be the one in the spotlight. He started playing when he was 5 years old, and gave his first recital four years later. 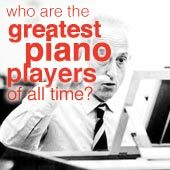 Some of his later teachers include the famous pianists Josef Hofmann and Leopold Godowsky. During World War II, Bolet became an American citizen, and went to Japan with the US army. While there he conducted the Japanese premiere of Gilbert and Sullivan's quirky and lighthearted operetta The Mikado (which is set in Japan). I would liked to have seen how it was received by the Japanese audience! After the war, Bolet traveled the world, performing both piano recitals and as a soloist with the greatest orchestras of the day. But it wasn't until he was in his 50s that the world regarded him as a magnificent piano virtuoso of Romantic-era music. Before that a lot of critics had neglected him, saying that he was too much of a virtuoso (is that possible?!). Because of this, he only started getting big recording contracts when he was in his 60s. The first was with Decca. But it was nearly too late..
Jorge Bolet died in 1990 of heart failure, after two years of illness. Jorge Bolet's playing is sophisticated, powerful, and very distinctive. He managed to have a unique and recognizable sound, which is partly due to the fact that he played on pianos from smaller, less well-known companies like Baldwin. His tone is rich and full, with a shining Romantic energy. His performances have a great feeling of weight, which I think comes from his strong, full-blooded touch, and the fact that he played a lot of pieces at slower tempos than usual. This slowness is the only thing that annoys me about Bolet's playing - I feel his style just doesn't suit some pieces. Bolet plays with a percussive neatness which perfectly defines the strength and duration of each note. He definitely reminds you that the piano is a percussion instrument! But what amazes me is how colorful he can make the piano sound. He can illustrate ice, thunder, love, nostalgia, and shades of the profoundest emotions. He also had excellent control of volume, from the quietest whispers to crashing hurricanes of sound. He was famous for his playing of the great piano composers like Franz Liszt and Frederic Chopin. He's recorded box sets for each of these two composers (if you want to get into Bolet I recommend starting there). He also had more uncommon pieces in his repertoire, such as the scarily difficult Chopin Etude transcriptions by Godowsky (which Bolet studied with Godowsky himself). 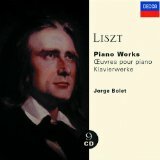 I first heard Bolet from his 9 CD set of Liszt pieces (which he recorded when he was in his 60s!). Below is an example of his performance of a Liszt piece, which I think demonstrates his perfect control and mastery of color, and the slight percussive quality of his playing. This is a wonderful live performance of Reminiscences de "Lucia di Lammermoor", recorded in 1974. This amazing recital forged Bolet's reputation after he had been neglected for decades. But Bolet could also play very delicately and touchingly as well. 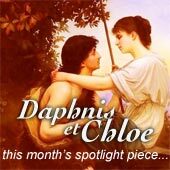 Here is a beautiful and subtle recording of a Chopin Nocturne (Op. 55 No. 1). And finally, here's an amazing video of Jorge Bolet performing a Chopin-Godowsky study. Godowsky blended two Chopin etudes together, but Bolet doesn't seem to have too much trouble with that! Here's the 9CD set which introduced me to Bolet's playing - I highly recommend you have a look! 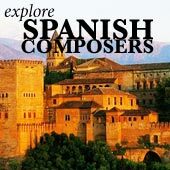 Claudo Arrau is another pianist with a similarly passionate yet precise approach to piano playing. Explore his performances here.